News Archives - Page 2 of 2 - Practical Resolutions Inc.
Click here to read Michael Erdle’s April 2013 column published in slaw.ca. Michael Erdle is now a Fellow of the Chartered Institute of Arbitrators (FCIArb). The Chartered Institute of Arbitrators has about 12,500 members in 120 countries around the world. Fellowship is a mark of excellence for arbitrators, awarded upon successful completion of a course in international arbitration and a rigorous award writing exam. Michael Erdle is participating as an arbitrator in the The Willem C. Vis (East) International Commercial Arbitration Moot in Hong Kong, March 11-17, 2013. The Vis Moot is one of the most prestigious international moot court competitions for law students in the world. Competitions are held each year in Vienna and Hong Kong. The object of the Vis Moot is to foster study in the areas of international commercial and arbitration laws and encourage the resolution of business disputes by arbitration. Michael Erdle was a featured speaker on negotiation and dispute resolution at the MaRS Discovery District’s Entrepreneurship 101 program. Entrepreneurship 101 free weekly lecture series featuring key topics related to starting a successful business, aimed at social innovators, technology and life sciences researchers and trainees. Click here to access the webcast of Michael’s presentation, and here to find about more about Entrepreneurship 101 and a schedule of upcoming talks. Michael Erdle has been appointed as the Ontario representative on the Board of Directors of the ADR Institute of Canada. ADRIC is a national non-profit organization that provides leadership in the development and promotion of dispute resolution services in Canada and internationally. It offers widely-accepted national arbitration and mediation Rules and administers national designations for Qualified Mediator/Arbitrator and Chartered Mediator/Arbitrator. ADR Connect is a unique search engine that enables people to find qualified mediators and arbitrators. Is Commercial Arbitration Too Expensive? 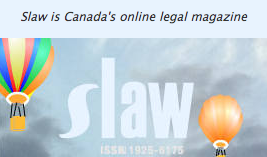 SLAW, Canada’s online legal magazine, has started a new dispute resolution column. In his first post, Michael Erdle asks: “Why is Commercial Arbitration So Expensive?” One reason is because lawyers and arbitrators alike treat it too much like litigation. But there are ways everyone can make arbitration more cost-effective. Practical Resolutions Inc. (PRI) was featured in an article in The Globe and Mail’s Report on Business on the risks of technology lawsuits and the benefits of early dispute resolution. 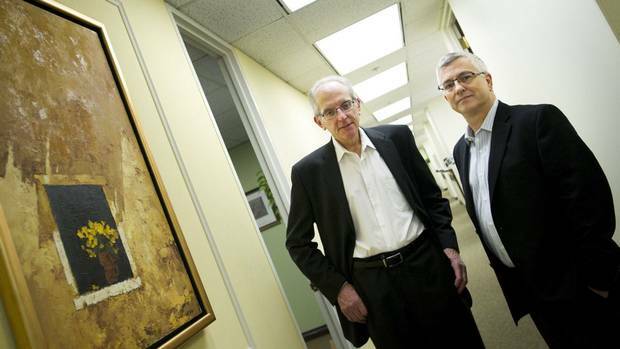 Practical Resolutions was featured in an article in The Globe and Mail on the risks of technology lawsuits and the benefits of early dispute resolution.